the same art that has the ability to transform the way you perceive and react to today’s stresses and confrontation of any kind. For beginners, our Private Training & Personal Martial Arts Lessons quickly teach proper position, essential footwork and get you comfortable throwing punches while simultaneously defending. Experienced Martial Artists, Black Belts and Advanced Wing Chun practitioners often find that our Personal Training is beyond anything they have previously experienced. Our passion and dedication is to making you the very best that you can be. Whether you’re looking for beginning martial arts lessons or to further your skills to the highest levels, learning one-on-one is the most efficient way! Who will be your private instructor? 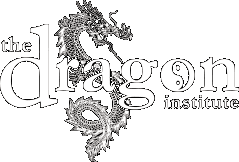 Your private training will be with The Dragon Institute founder, Sifu Adam Williss, or his senior-most student, Sifu Derrick Mansell, chief instructor of our Irvine Wing Chun school. Both are official representatives of the Leung Sheung lineage (Ip Man’s senior most student in Hong Kong). Sifu Adam Williss has 24-years of Wing Chun experience. His ability to both perform and teach the highest levels of Wing Chun is nothing short of outstanding. You’d be hard pressed to find someone more capable to bring out the best in you. Sifu Derrick Mansell has 10 years experience. He is the #1 student of Adam Williss. His passion and dedication to Wing Chun show in both his ease of application and his unending desire and patience in helping students apply. Contact us to schedule a complimentary session to discuss beginning your journey with us.